Creamy Tomato Basil Salad - Let the Baking Begin! Creamy Tomato Salad is best made with fresh, heirloom tomatoes, loads of basil and sweet onion. 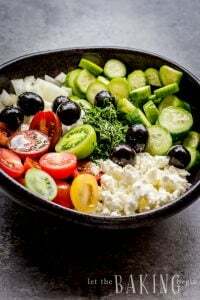 This is the summer salad that you will be making, over and over again! August is the season for tomatoes so this is the perfect time for eating them fresh in salads, soups, sandwiches and wherever else you like. My favorite way to eat them right now, is with some sweet onion & chopped basil. Heirloom tomatoes are the best in a salad like this, since they have very little liquid in between the membranes, but I didn’t have any on hand this time, so homegrown medium-sized tomatoes were just as good. As I was playing around with different ways to dress this salad, I found that a tablespoon of mayo is all this salad needs. 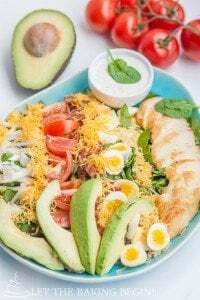 I hope you give this quick and delicious salad a try to enjoy it either as is, or with some grilled chicken or fish. 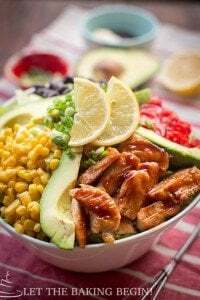 Let me know what your best way to enjoy this salad is! Heirloom tomatoes will be best, but any other fresh, garden tomato will still make this one good salad! Cut the tomatoes, chop the onion and basil. Add mayo and toss together. Season to taste. 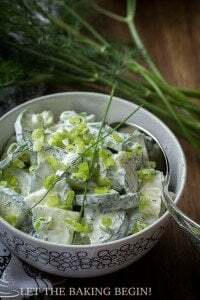 Cucumber Salad – Cucumber tossed in dill and garlic. Creamy Beetroot Salad – A simple garlic beet salad. Broccoli & Radishes Salad – Delicious salad with a creamy dressing. Cut the tomatoes in half, then slice each half into small bite-size pieces. Cut both ends of the onion (root & stem side) now cut the onion lengthwise. Chop basil leaves into thin strips. Combine the cut ingredients with mayonnaise, sprinkle with salt & pepper to taste. Stir. Check for seasoning and adjust if needed. Serve right away. 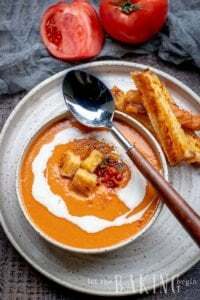 Roasted Tomato Soup Recipe - Silky-Smooth and Creamy - Let the Baking Begin!